My working career began as a draftsman for a structural steel company specialising in the design, fabrication and erection of steel structures for commercial, industrial and government projects. The critical skills required for this position are a methodical approach, a high degree of accuracy and attention to detail. These disciplines have provided the foundation of my contribution to the Blue Ribbon Homes team. I moved to Coffs Harbour in 1970 where I met my wife Susan. We have raised two daughters, the youngest being Michelle, who is our Administration Manager. Blue Ribbon Homes is a family owned company. Jackie our Homes Sales Consultant and our Sales Assistant, Allanah, are both family members. We at Blue Ribbon Homes are proud of our reputation as a Builder of quality homes backed by a professional, committed and dedicated team. Having been one of the founding members of Blue Ribbon Homes in 1988, I have witnessed the growth of this company into the well-respected business that it is today. 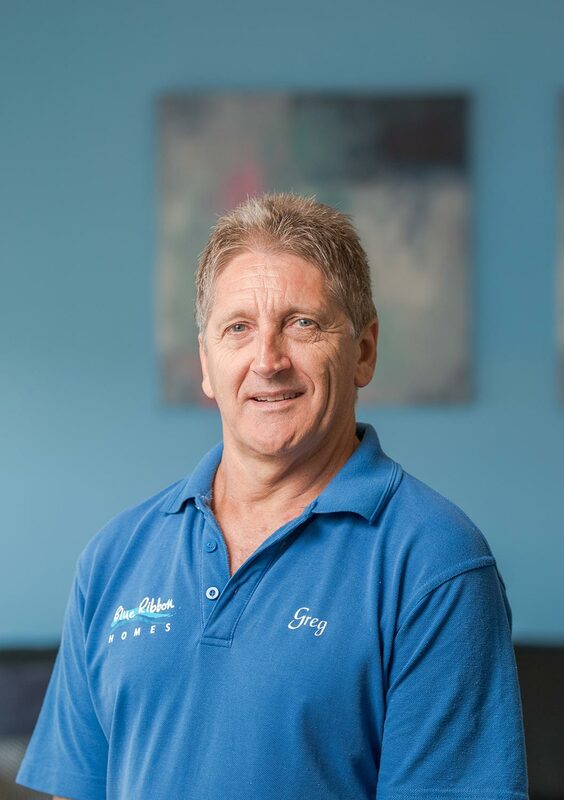 In that time we have seen building companies come and go, but we can proudly say that we are still locally owned and have been operating for over 30 years on the beautiful Coffs Coast.